“IT HAD never been my intention to stay this long, as I have always believed that a CEO’s tenure should allow for a regular refresh. My earlier intentions to step down were curtailed by Barclays PLC’s 2016 decision to sell down their controlling stake, a unique set of circumstances that required continuity. Bowing out gracefully. Group CE at Absa Maria Ramos throws in the towel at the end of February. 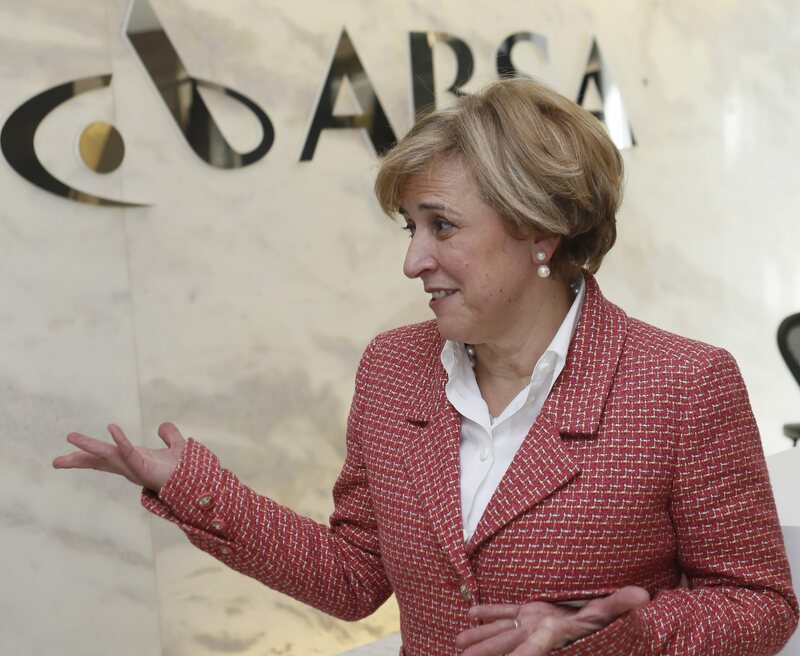 So with my coming 60th birthday I have made the decision to leave the position open for a new Chief Executive to lead the Group on the next leg of its exciting journey”, says the out-going Absa CE Group Maria Ramos. The astute Ramos has been with the bank since 2009, and during her tenure she over-saw changes such as acquiring Barclays’s Africa subsidiary banks; the sell-down and the start of separation from Barclays, establishing a new strategy as a standalone financial institution as well as brand refresh in South Africa. She retires at the end of February 2019 when she turns 60. Under her leadership of ten years’, Absa acquired Barclays’ eight African subsidiaries for R18.3bn in 2013, the largest African acquisition ever by a South African bank. This transformed business mix, as rest of Africa generated 20% of Group first half earnings. In the last 10 years, the Group has transformed to a pan-African financial services provider. She also led the separation negotiations with Barclays, which resulted in a R12.6bn up front contribution plus R2bn earmarked for BEE. PLC’s sell-down involved two book builds with the second one worth R38bn, a record for South Africa. Maria oversaw the initial stages of separation, refreshing Absa’s brand and achieving regulatory deconsolidation. The bank also faced torrid times when Ramos and team had to meet the ruling party’s head-honchos on the controversial family Gupta, following the slap of several Guptas companies with closure notices, and notably Economic Freedom Fighters embarking on what they called a “historic march” against financial institutions in 2015, that led to the party’s leader Julius Malema stating they would occupy all Absa banks, which was in the midst of long-running corruption allegations involving billions after a report about its apartheid-era “lifeboat” by the new public protector was leaked. Malema then said that his party would occupy “all Absa branches” because the bank allegedly “stole our money on the eve of democracy”. He was referring to the matter investigated by Public Protector Busisiwe Mkhwebane, involving an alleged gift to several apartheid-era companies from the SA Reserve Bank. One of those companies was Bankorp, which was acquired by Absa in 1992. But the lady with an ‘iron-fist’ stood tsunami. The Board has appointed René van Wyk as the Interim Chief Executive with effect from 1 March 2019. The Portuguese born Ramos is the wife to former finance minister Trevor Manuel. At the time of publishing the Absa PR team had not responded on her next possible move.